We operate 7 housing facilities for the elderly and disabled throughout 3 counties in South Texas that provide excellent amenities and care options. Services subsidized by federal programs. 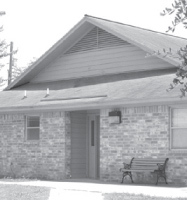 Rural Economic Assistance League, Inc. (REAL Inc.) obtained a $2 million HUD loan to build 68 apartments that are located at 1300 Wyoming Street in Alice, TX. To be eligible to live here one must be 62 years of age or over and/or handicapped. The tenant’s rents are subsidized through HUD; the tenant’s share is approximately 30% of their adjusted income. This facility is a three phase, three story apartment complex. It has a nurse call system in every apartment for emergencies. A security guard is on site at night for the safety of all residents. Transportation is offered daily on a set schedule. A large community center with a list of services is available to all tenants. 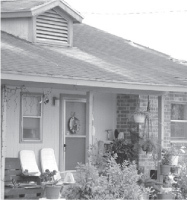 Rural Economic Assistance League, Inc. (REAL, Inc.) obtained a $1 million FMHA loan at 325 NW Second Street in Premont, TX. The rent is based on 30% of the tenant’s adjusted annual income and the FMHA subsidizes the difference. To be eligible to live here one must be 62 years of age or over and/or handicapped. All apartments are on one level. These apartments each have a nurse call system for emergencies. 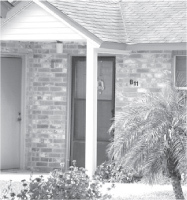 A resident manager lives on the property to ensure safety and security. A community center with all other services of REAL, Inc. is offered to all tenants and the rest of the community of Premont, TX from this office. 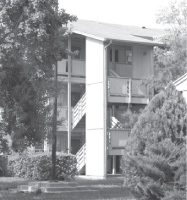 Rural Economic Assistance League, Inc. (REAL, Inc.) obtained a $900,000 FMHA loan to build a 13 unit complex. This complex is located on 100 Cenizo Circle in Benavides, TX. The rent is based on 30% of the person’s adjusted annual income. The other 70% is subsidized by the FMHA. To be eligible to live here one must be 62 years of age or over and/or handicapped/disabled. All apartments are on one level in a beautiful landscaped area. These apartments have a nurse call system in each for emergencies. A part time office manager and maintenance man are on the property to ensure safety, good living environment and security. 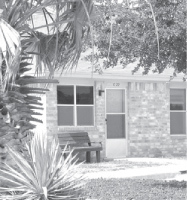 A small community building is available to the tenants for socialization and congregation. All other REAL, Inc. services are available to these tenants. Rural Economic Assistance League, Inc. (REAL, Inc.) received a $2 million grant from HUD to build 36 units. These units are based at 1001 Tovar Street in San Diego, TX. The rent is also based on 30% of the tenant’s adjusted annual income and the other 70% is subsidized by HUD. Eligibility is based on 62+ years of age, and income. A resident manager lives on site to promote and ensure safety, security and a good environment to all the tenants that live on site. Laundry facilities are within the complex for the convenience and comfort of the tenant. A community room is available to the tenants to congregate and socialize. REAL, Inc. makes available all other services to these tenants. Rural Economic Assistance League, Inc. (REAL, Inc.) received a $1.9 million dollar grant from HUD to build 24 units. This complex is based at 700 Jeff Cowley Street in Freer, TX. A laundry facility is within the complex. A community room is also available to the tenants. A resident manager lives on site to provide and ensure the safety, enjoyment and security for all the tenants. These tenants are offered all of the other services REAL inc. provides.